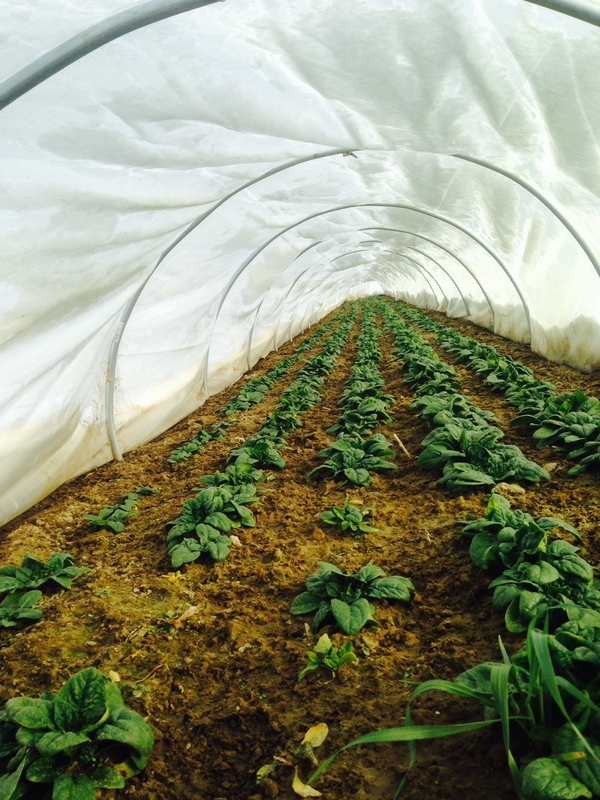 Deep Winter Share–fresh picked spinach! 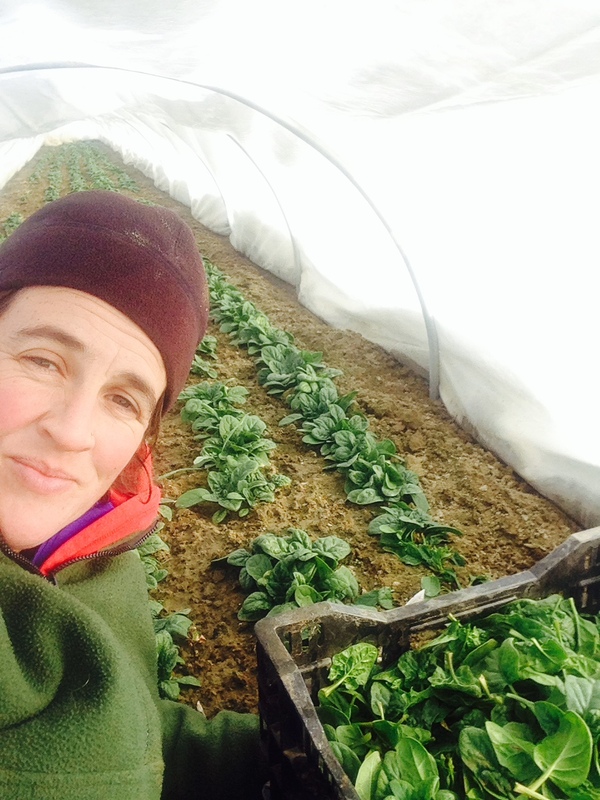 Here is Meghan inside the low tunnel–how did you think you get the spinach out from a snowy tunnel on a freezing cold day? 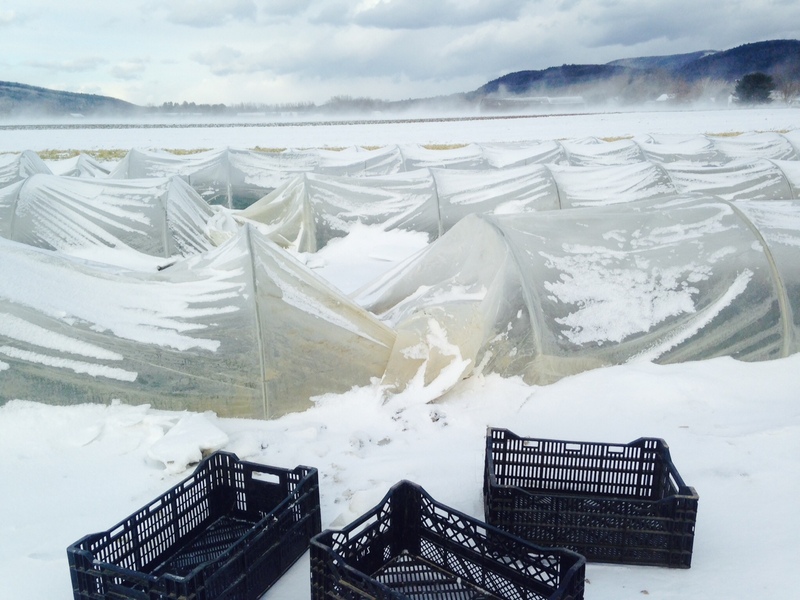 Here’s how farmers in New England harvest spinach fresh from the field in the middle of winter! Looking forward to the spinach in the share tomorrow, just harvested at Riverland this week. recipes, Riverland Farm, What's in the share?